Yesterday was a big day for Taylormade Golf as they announced the launch of a brand new set of irons. The Taylormade Burner 2.0 irons. The 2009 Burner irons were/are incredibly popular by design and playability and this next generation looks to be a step up both of those categories. You will see at the link below some in hand photos as we got the 1st THP set pre-launch and will be working with them for our review and to answer questions for everybody that they have about them before release. They have been through a brief workout on the range, so I can answer some questions that you may have on them before they get a full workout. But THAT IS NOT ALL! Taylormade wanted even more real and unbiased feedback. so they were kind enough to supply FOUR more sets for THP Members (fit to their specs) to test out and you will get 100% honest and unbiased feedback from all of them as well. I want to thank all 4 of these testers for taking the time to try out this equipment and post long term reviews for readers here as well as answer any questions that people may have. I also want to thank them for honoring the embargo date set forth by the company. These 4 have known about these irons so that we could get their specs for about a month now and have followed THP Protocal involving embargo dates. This goes to show that being active on THP does have its benefits. Golf Ball testing, Glove testing, FULL iron set Pre Release Testing, AND EVEN MORE COMING IN 2011. We will have a lot more forum testing going on throughout the next year and the next big forum testing could involve YOU! The TaylorMade Burner 2.0 Iron Set consists of irons individually engineered, resulting in the enhancement of multiple club properties that promote distance, uniform distance-gaps, increased playability and better sound and feel. A multi-functional sole lowers the center of gravity and reduces turf-drag to make it easy to launch shots high and long, while the inverted cone in each clubface is strategically sized and shaped center of gravity location in each head is precision-placed to optimize long-, middle- and short-iron flight; high-coefficient of restitution faces promote fast ball speed for long distance in the long-irons. 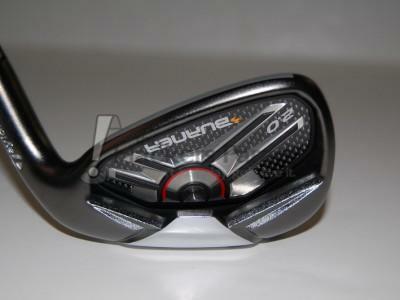 Click this link to see our In Hand Pictures of the newest irons from Taylormade Golf. i’ve been eagerly anticipating the unveiling of these and i must say that Taylormade didn’t disappoint. i thought the way that they built up so much anticipation was wonderful and i can’t wait to give them a serious whirl. Looks like Taylor Made has a winner in the new Burners. Looking forward to hitting them myself. Im a member on another forum and they bashed this video. I kind of like it. Its fun hearing about this stuff. Thanks for the pics and this is where i come for my reviews. Looking forward to hearing the testers thoughts. Really interesting seeing everybodys take. I agree, I like the looks and the dark finish. I play the 09s and look forward to hearing about these. Good pics by the way. This charade got old fast. First the thing was already in golf digest a week earlier. Then I heard about via email from a store. Its a club launch and they have this whole ordeal, but nobody can have the clubs for another month. Use launches like this to add staffers and interviews, but not for equipment that changes too fast. I am a Burner player through the entire bag and cannot wait to try these. The pictures on THP confirm the new darker finish that I really like. Would have liked to see a new badge in the back though. Check out the THP forum as we gave 4 sets to forum members to try out and give us their findings. Most are doing club comparisons.